For Spring 2019, La Sportiva introduces its most comprehensive collection of apparel yet. Spread across three categories for both men and women, the Climbing, Running, and Traverse collections all contain apparel designed to give mountain athletes their best shot at top performance. The Climbing and Running collections follow customer feedback for more compelling fit and colors while the Traverse collection features unique styles designed for alpine climbing and hiking, featuring synthetic materials and trim, and functional silhouettes. 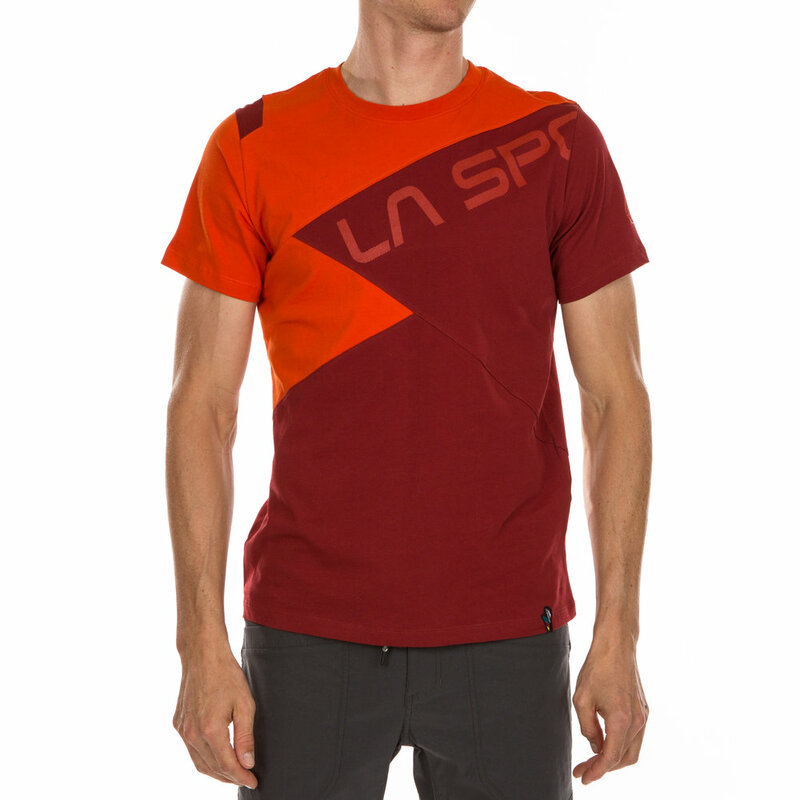 “La Sportiva’s focus on apparel as a tool for performance in the mountains has improved each year and the Spring 2019 collection is our best yet,” says Jonathan Lantz, president of La Sportiva North America. “We have built an excellent apparel R&D team in-house and the results are apparent in this year’s offering. The colors are on trend, the fit has been adjusted to cater to more athletes, and no detail has been overlooked. Our customers will have a lot to be happy with in Spring 2019. In the men’s climbing collection, the Crunch T-shirt uses under arm mesh inserts and ultralight Polygiene-treated fabric to create a comfortable, performance T-shirt that will retail for $49. The Future Long-Sleeve is a single jersey and moisture-wicking cotton long-sleeve with a gusseted underarm and raglan sleeve construction for excellent freedom of movement in a shirt that retails for $59. Men’s climbing bottoms have consistently performed well for La Sportiva and the Flatanger short will be no exception. An elastic waistband and 14” inseam in a cotton and spandex short creates a stretchy but comfortable short for sending hard routes. It will retail for $49. For pants, the Roots pant uses 100% organic cotton to create a lightweight pant with 2 front pockets and articulated knees in a 33” inseam length. It will retail for $69. On the running side for men, the Limitless T-Shirt and Medal Short lead the collection. 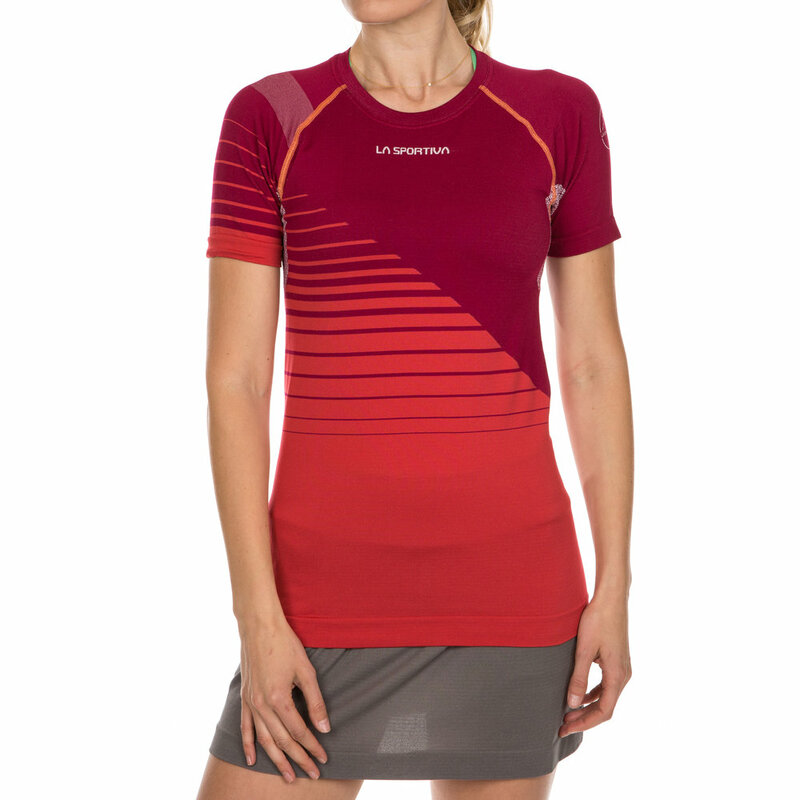 The Limitless T-Shirt is a ½ zip shirt with body-mapped venting and underarm mesh inserts to keep runners cool. The Polygiene-treated and bluesign approved fabric creates a soft, comfortable shirt for $59. The Media short has an 8”inseam and inner brief for comfortable coverage in a lightweight running short that will retail for $65. In the Traverse collection, the Granito short is sure to become a daily driver for mountain enthusiasts. The 12” inseam shorts include an integrated webbed belt, two front hand pockets and one front zippered thigh picket to create a pair of shorts that is versatile and comfortable for a range of activities. They will retail for $79. For women, the Spring 2019 apparel collection is the best looking yet. The Paige Tank is a 100% organic cotton tank with integrated shelf bra and stylish sewn-in inserts that will retail for $39. The Patcha Legging will allow women to enjoy comfortable leggings that are flattering and designed for performance. The $49 leggings use 4-way stretch, flatlock stitching, and Polygiene treated-fabric to create a legging that will be equally at home at the crag or on the trail. For women’s mountain running, the Runner Tank is a body-mapped tank top that uses BeCool Yarn for body climate optimization over long miles. It will retail for $69. For women that like to run in a skirt, the Xplosive skirt has a comfortable waist and a 13” length to provide a flattering and comfortable skirt all for $69. In the women’s Traverse collection, the Spit short has a 9” inseam length, an integrated webbed belt, a gusted crotch in a 9” inseam length to create a short that’s at home hiking or enjoying time in the mountains. The short will retail for $69.